Luke operates by the “Gold” standard; providing exceptional service to every client. Prior to joining Compass, Luke was the Associate Broker at RE/MAX Luxury Living for over 6 years. 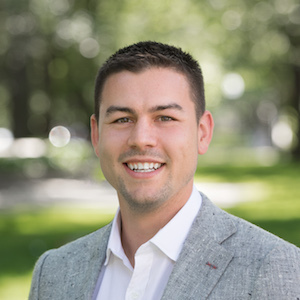 Certified in “Sustainable Real Estate Development” & “Anatomy of Real Estate Development”, Luke’s extensive knowledge of new developments and passion for architecture makes him the perfect fit for any buyer, seller, or developer. Luke has a firm understanding of digital and social media strategies, and is constantly learning to evolve his sales tactics. Luke believes no two home are alike, and because of that he approaches each sale with a tailored mindset and “out of the box” thinking. Luke is proud to be a part of the Compass family, and greatly values their sharp brand image, advanced technology tools, and multiple network resources. A proud Bostonian after living in Boston for over 10 years, Luke also has a vast network in LA for any client looking for a vacation home or is in pursuit of a bi-coastal lifestyle. But don’t just read about Luke’s qualifications, let him show you! Reach out today to find out more about his offerings and how he can help you with all your real estate needs. In his free time, Luke loves nothing more than spending an active day with his fiancé and Australian Shepard, and when time allows for it, traveling the world! To view Luke's & The Curtis Group's Active Listings - click here!